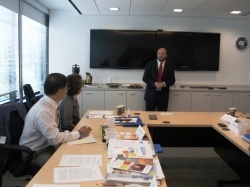 JICE delegation visited IIE in New York and Washington D.C., the United States of America. 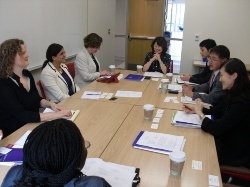 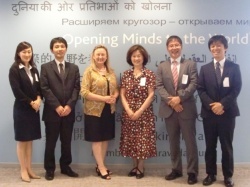 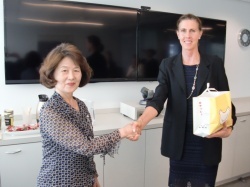 JICE delegation, headed by Ms. Yamano Sachiko, President of JICE, visited Headquarter and Washington D.C. Office of Institute of International Education(IIE), leading universities, and organizations which implemented youth exchange programs, located in New York and Washington D.C. from 9th to 16th July, 2014. 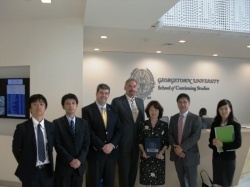 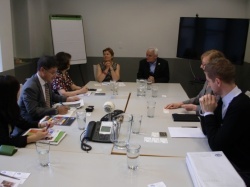 The delegation introduced organization and activities, observed non-degree program and youth exchange program, and exchanged views about the possibility of partnership with the universities and organizations in the United States. 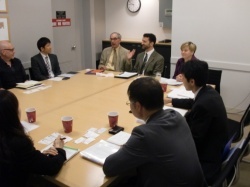 IIE is among the world's largest and most experienced international education and training organizations. 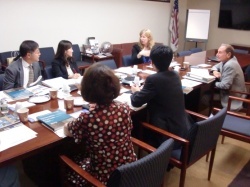 JICE staff is going to have professional attachment in IIE from this year. 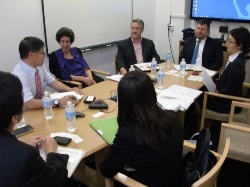 Taking this opportunity, JICE signed Memorandum of Agreement and built a cooperative relationship with IIE. 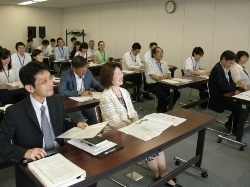 JICE will launch a new program as joint project with IIE. 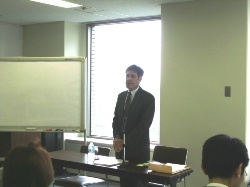 Before this visit, JICE invited Mr. Austin H. Moore, Deputy Training Director (International Program), Research and Training Department, Japan Intercultural Academy of Municipalities (JIAM) and held lecture on “Acceptance of foreign visitor and training program in the United States through the experience in IIE” on 27th June, 2014, which was very informative and helpful to this visit to the United States.